I have had the privilege of serving the Lord as Pastor of Noddfa Baptist Church (Abersychan, Torfaen) since June 2014. A number of people have asked me to keep them updated on how the Lord is Blessing us. So, I thought it was about time to follow the “trend” and start my own blog. The Blog title Grace Grit and Gumption is inspired from the book of the same name. 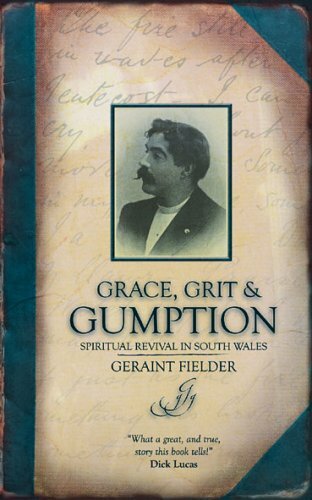 This book (by Geraint Fielder) follows the Spiritual Revival of South Wales and how the Lord worked in John Pugh, a railway worker, Seth Joshua, a donkey driver (and a fighter) and Frank Joshua who was a teacher. All were converted in the Welsh valleys. I would highly recommend this book as it is both refreshing and inspiring. A fitting read as we (by God’s Grace) battle against the same darkness in the very same Valley of which these men were converted.